*HOT* Spend $10 at The Children’s Place, Get $10 Cash Back! Love shopping at The Children’s Place for kids’ clothing? This is a really RARE offer from Top Cash Back! is offering $10 cash back on ANY $10 purchase at The Children’s Place, making it free! This is for new only. If you are already a member, you are allowed to sign up another adult in your household. 3. Make a purchase valued at $10 or higher. Shipping is FREE! 5. After you receive the $10 payment in your , you can choose to transfer it to your bank account or request a Paypal payment. This deal is valid through July 8, 2018 — or while supplies last. *HOT* Get $10 worth of MAC Cosmetics for FREE after rebate! is offering a $10 rebate on ANY $10 purchase at MAC Cosmetics, making it free! This is for new only. If you are already a member, you are allowed to sign up another adult in your household. 3. Make a purchase valued at $10 or higher. And shipping is FREE! This deal is valid through July 5, 2018 — or while supplies last. Ibotta: Save on Halo Top, Energizer, fresh watermelon and corn on the cob, more! Have you yet? It’s one of my favorite money-making apps, and it’s a great way to save money on groceries and more—without clipping coupons! You can to get started. added new cash back offers today — for Halo Top, Energizer, fresh watermelon, fresh corn on the cob, any brand of chips, Newman’s Own, and many more! . Free Tide Simply Clean & Fresh Laundry Detergent at Walmart after rebate! is offering a $10 rebate on Tide Simply Clean & Fresh Laundry Detergent purchased from Walmart, making it free! This is for . If you are already a member, you are allowed to sign up another adult in your household. 3. Order the Tide Detergent for $8.94. Select free in-store pickup at your local Walmart to avoid shipping costs. 4. Within 14 days, your Top Cash Back account will be credited with $10 — enough to cover the price + tax! This deal is valid through June 29, 2018 — or while supplies last. 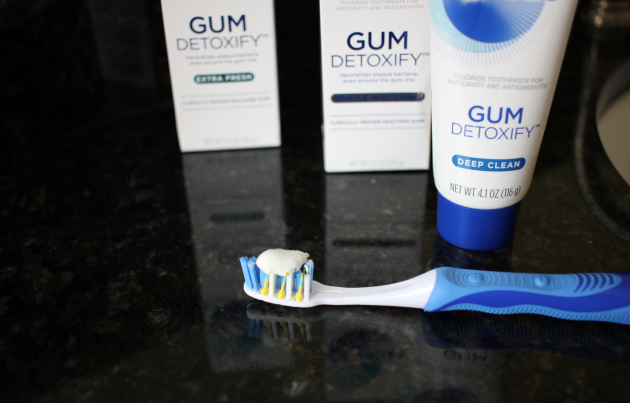 Do you struggle with making gum health a priority in your daily oral care routine? It’s something that a lot of people struggle with. Gum health is something that can be so easy to forget about, but plays a really important role in taking care of your teeth. Early signs of gum issues can include soreness, sensitivity when brushing and flossing, or bleeding gums. 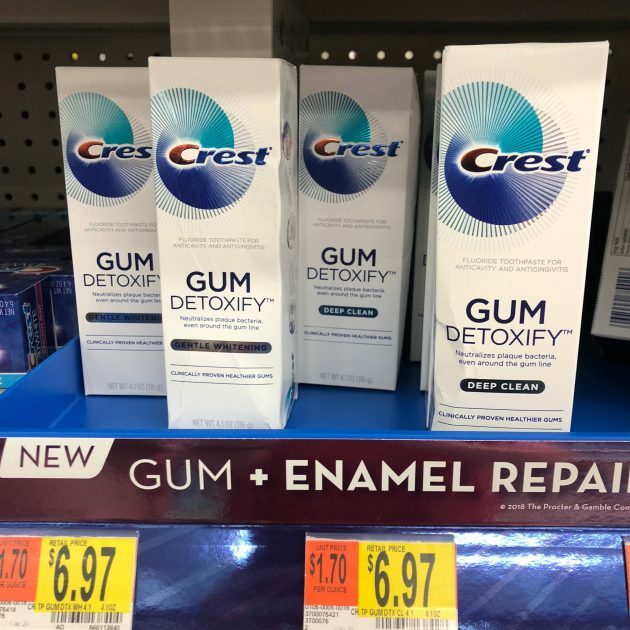 If you have experienced any of these issues or you’d like an easy way to take better care of your gums, you might want to check out the brand new Crest Gum Detoxify toothpaste! 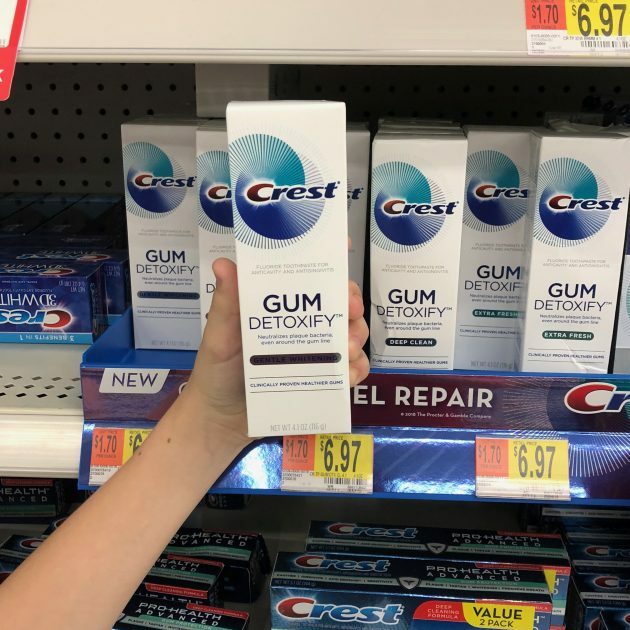 This new Crest Gum Detoxify toothpaste is specially formulated with Activated Foam technology that penetrates hard to reach places and reaches below the gum line. This helps neutralize harmful bacteria in areas where even the most diligent brushers may not be able to reach– which significantly improves gum health and leads to clinically proven healthier gums! 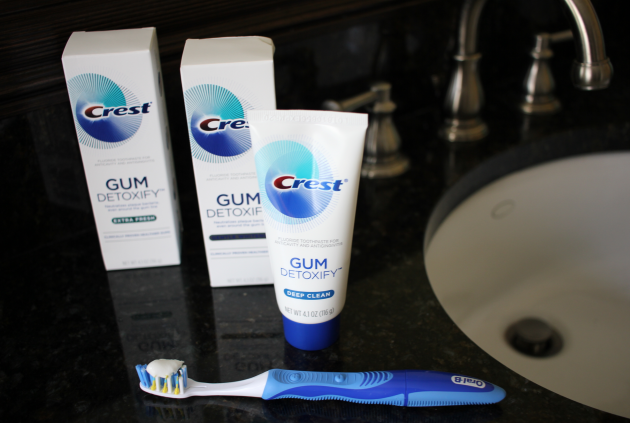 Changing your toothpaste can be a simple and easy way to improve your gum health. It doesn’t require any extra steps or effort — and it could make a big difference! 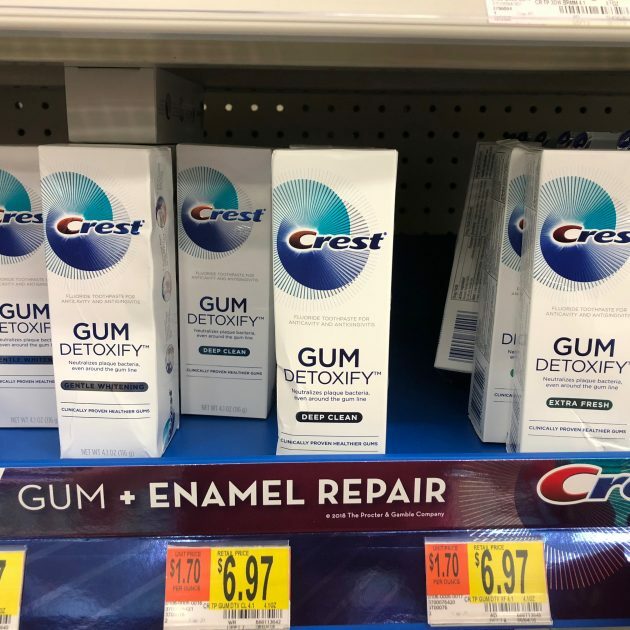 In fact, according to research, ninety-nine percent of gingivitis patients showed reduced gum bleeding and inflammation in eight weeks after using Crest Gum Detoxify. The Activated Foam in Crest Gum Detoxify comes in three different varieties: Deep Clean, Extra Fresh, and Gentle Whitening. There is also a two-step option if you want even better results! Crest Gum Detoxify Toothpaste is now available at Walmart stores nationwide. Plus, there is an to give you $2 back on your purchase — available only at Walmart! 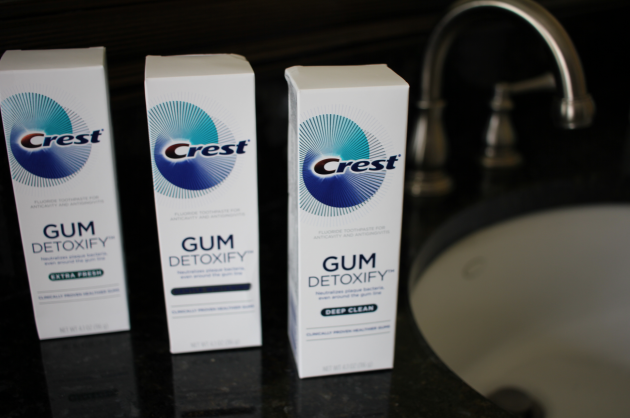 Save $2 on Crest Gum Detoxify Toothpaste! 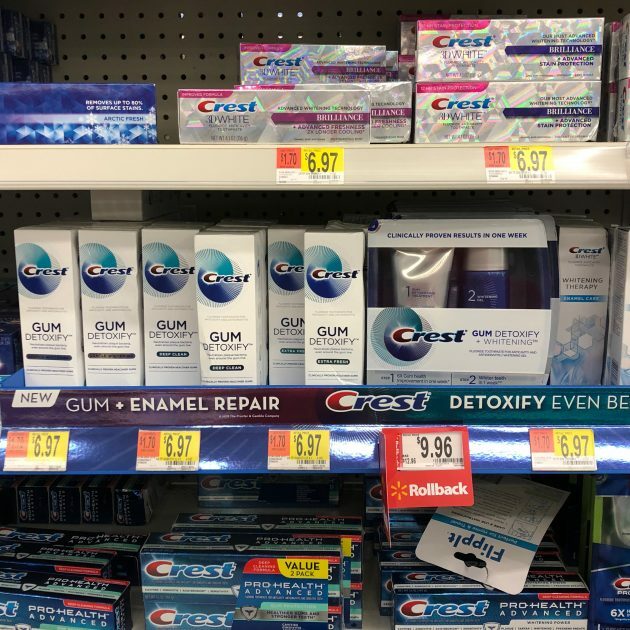 Head to your local Walmart store and purchase one tube of Crest Gum Detoxify Toothpaste. 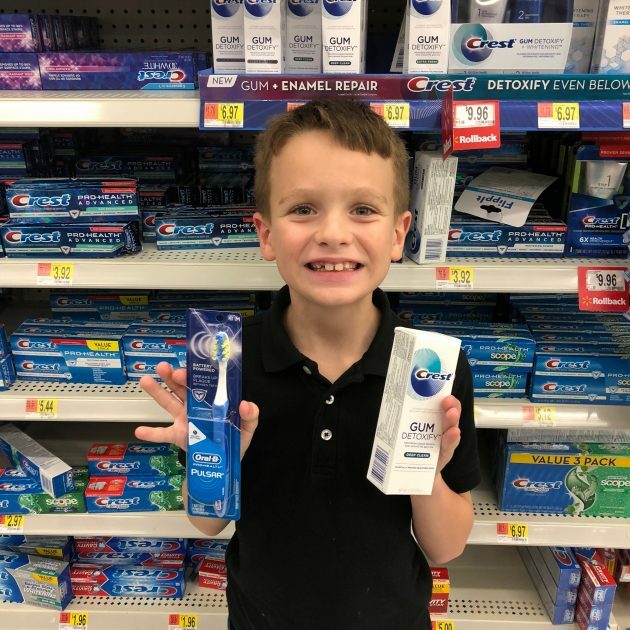 Scan a copy of your receipt and the UPC bar code on the toothpaste box. 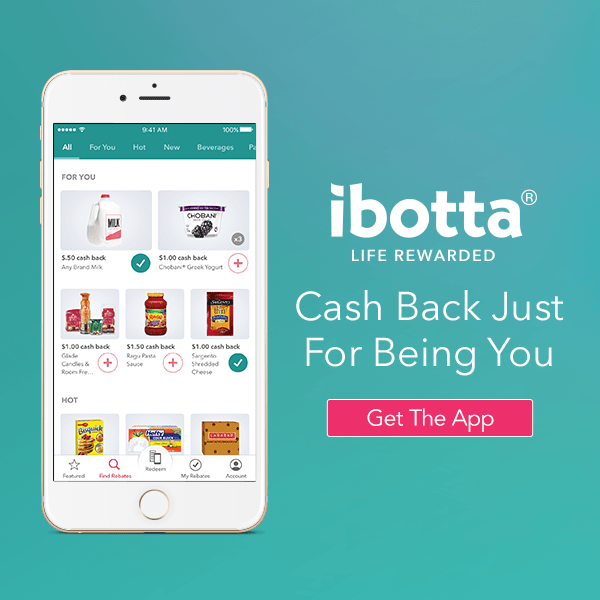 A $2 rebate will be added to your Ibotta account! You can redeem this rebate up to 5 times. It is valid through end of today, June 26, 2018. This deal is valid through June 26, 2018 — or while supplies last.